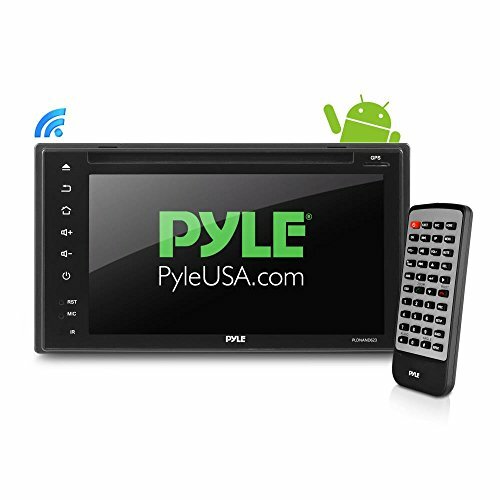 Get Your Hands On This Grade A Quality Dashboard Entertainment System By Pyle Today & Bring Your Driving Experience Today! Are you looking for a quality accessory to record your travels while you’re on the road? Or maybe you are a professional truck, van or bus driver that wants a trustworthy tool to ease your work? Whichever your case, you’re in luck! Pyle has got just the thing you’re looking for! This high quality Head unit combines Wi-Fi Wireless Streaming, Bluetooth wireless music streaming, call-answering capability and GPS navigation into one convenient unit. Built-in Bluetooth and microphone allow you to enjoy hands-free calling and add another level of safety while on the road. GPS Navigation with talking turn-by-turn voice direction assistance helps you keep your eyes on the road! This in-dash Android multimedia video receiver is a versatile dashboard entertainment system that adds crisp widescreen video quality at a modest size. The system also includes a high quality car dashboard camera providing you with a convenient vehicle video recording display and a reverse backup license plate camera that outputs picture on the receiver's display screen. The waterproof camera features built-in distance scale lines that add yet another line of safety. An Ideal Must-Have Car Accessory For All Drivers! Either you’re a professional driver that owns a truck, bus or van or just somebody that has a car or an RV, our fully complete dashboard entertainment system with back up camera set will become your favorite road companion! And, if you’re looking for rather special gift idea, you can always get it for your wife or your best friend – it is a both practical and thoughtful gift! Place Your Order Now – Our Stock Won’t Last Forever! TRAVEL WITH LUXURY! -With this excellent quality Double-Din dashboard stereo entertainment system that lets you make phone calls, stream music with Bluetooth even, and watch videos.